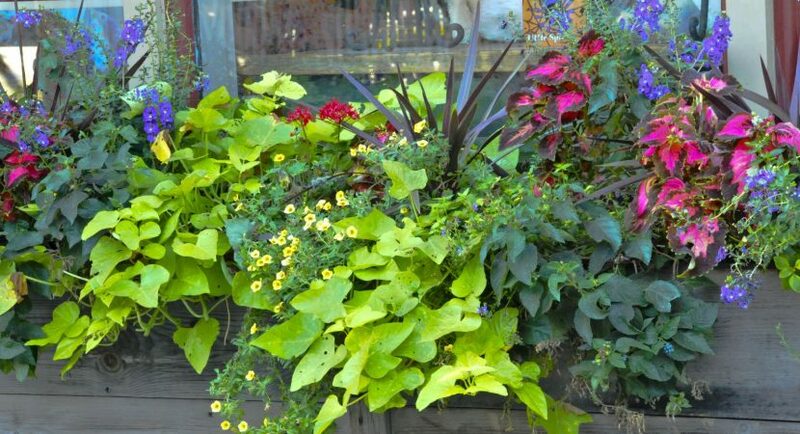 Even the simplest and smallest of the space can be transformed beautifully with few planter boxes. It is just that you should know how to go about it. They are easy to make and available readymade to spice up your house. You can choose from themes that range from classic and traditional to urban and modern. Whether you have a huge backyard or a small terrace to deck up with plants, you will find the boxes to be extremely resourceful as they utilize the space well. However, you will have to update yourself with some ideas to be able to design your space properly. When you want a beautiful looking garden-like space but are sure that you will not be able to manage it regularly, then you can look out for inserts. There are plastic tubs or boxes within the planter boxes. There will be holes drilled within the boxes to ensure that the excess water seeps out and does not kill the plant. However, the drainage also ensures that the wood does not rot away easily because the plastic box covers the wood. In the beginning this box might not look appealing. However, when you plant beautiful flower shrubs and they grow out and bloom, the box will look full of every angle. In fact, one will not be able to spot the planter boxes at all amidst the lush bushes and flowers. However, you will have to be careful while planting, make sure the leaves do not get squashed and the plant does not die. Planter boxes are available in different shapes like vertical, horizontal and L shape. It is important that you study the space well and then select the boxes for the plants. Also, you will find that the geometric shapes are an ideal choice when you have limited space and a lot of plants to care for. You can arrange them neatly and the wooden boxes are easy to maintain. You can choose to have cascading planter boxes or the tall ones which are hand painted to customize with the existing theme of your house. So, you can look out for the different boxes that are available in the shops. If not, you can simply stack all the boxes together and create your own length or breadth. It is important that you understand what will look perfect in the given space rather than accommodating with what is available. Ideally, it is only wood that hits the mind when one thinks of the planter boxes. But, you can think out of the box and look out for different materials that you can play with. So, be it stone or plastic, you can choose to work with any material that fits your budget and creativity. However, you need to look out for a good quality one and not compromise ever. They will be placed mostly outside and must deal with a lot of temperature fluctuations. Choosing the wrong material will ruin the boxes soon and you will have to suffer loss. No matter how plain or boring the boxes might appear, you can always think of doing something creative and unique with it. When you choose the smaller boxes, you can creatively hang them on the walls or balconies to make the place picture perfect. It will help you to tweak the entire space in a creative way. Make sure you choose unique shrubs or plants for the boxes so that the entire idea comes out well.